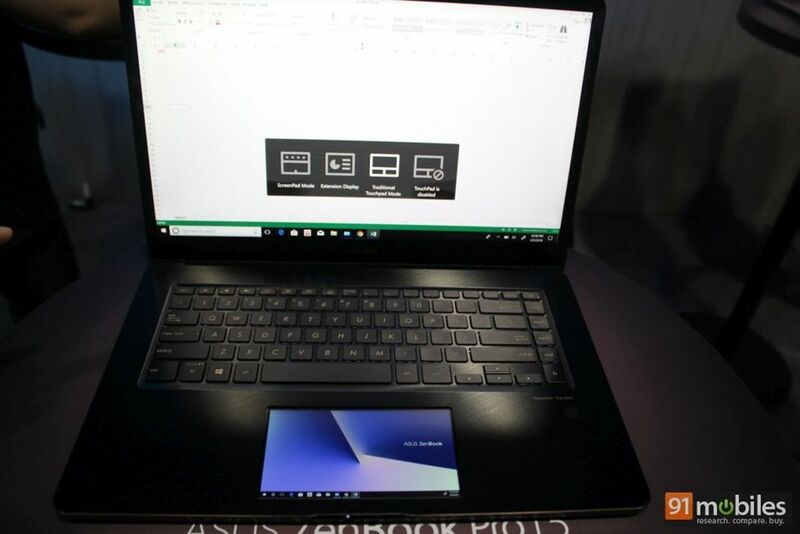 While the ASUS Project Precog concept (first impressions) got the most attention during its unveiling yesterday, the Taiwanese giant showcased another innovation in the form of the ScreenPad on the new ZenBook Pro laptops. Taking the idea of Macbook’s Touchbar to the next level, the ScreenPad turns the entire touchpad area into a secondary touchscreen that can be used for contextual functionality among other things. 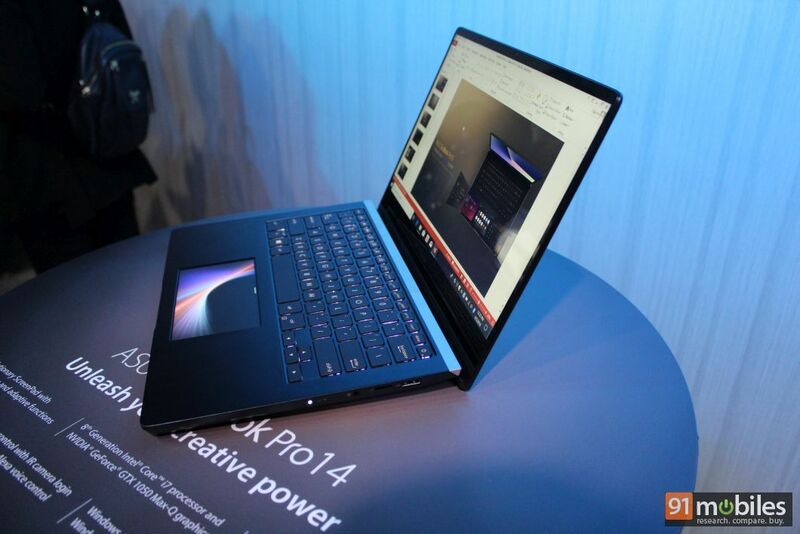 But both the ZenBook Pro 14 (UX480) and 15 (UX580), the laptop models that feature the new ScreenPad, offer much more than that, including top-of-the-line specs and features. 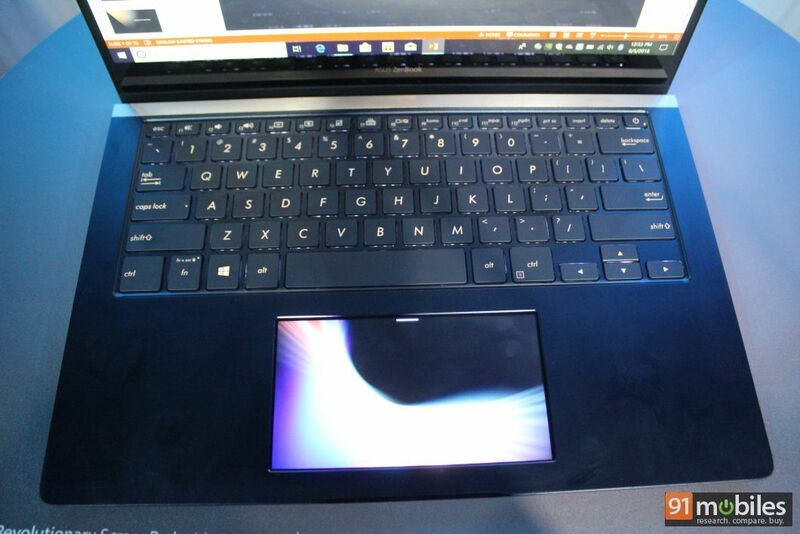 But I’m getting ahead of ourselves, so let’s take an up, close and personal look at ASUS’ loaded laptop offerings. 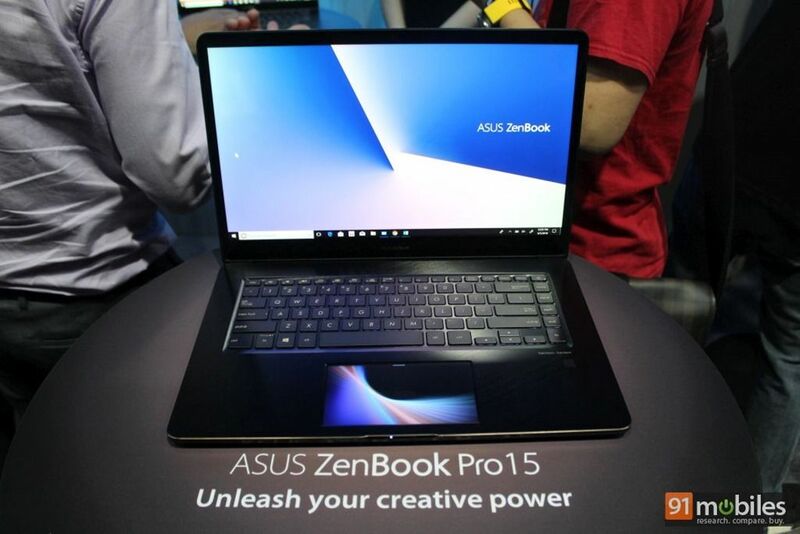 As the name suggests, the ZenBook Pro 15 is built around a 15.6-inch screen, which bears a 4K resolution, offering sharp visuals and great viewing angles. Thanks to the NanoEdge panel, the display doesn’t have much bezels around its sides. Targeting creative professionals like designers and video editors, the brand is supporting 100 percent Adobe RGB colour gamut with colour accuracy of ∆E (Delta-E) < 2.0, ensuring that colours are reproduced naturally. Coming to the highlight of the ZenBook Pro 15, the ScreenPad turns the entire surface area of the touchpad into a colour touchscreen that can work the way you like it. You can continue using it as a normal trackpad, use it as a secondary screen or turn into a contextual screen that lets you perform quick actions based on what you’re working on in the main screen (the functionality can be changed by pressing F6). Let’s give you some examples where this will come in handy. If you’re working on an Excel workbook, then you can use the ScreenPad to access formulas among other things. The good thing is that you can customise the actions you require for any particular app. Similarly, you can control video playback directly from the ScreenPad. 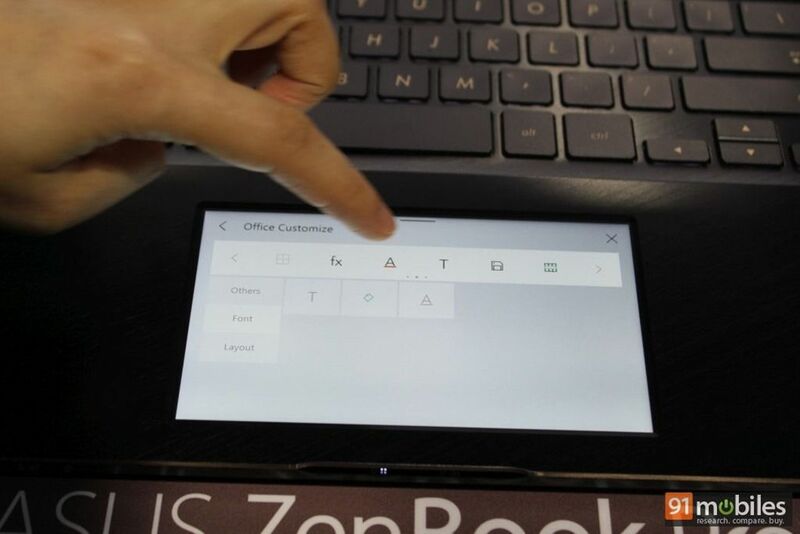 It also supports apps like calendar and calculator, letting you access them quickly and check your schedule (it can be connected to your Microsoft account) or do some calculations. If you’re using an external mouse, then you can turn the ScreenPad into a full-fledged secondary screen which can run a video or maybe a presentation, while you’re working on something else on the main display. The screen can also be synced with your smartphone to offer notifications and more. While overall it might seem gimmicky, I think it could be quite useful if developers add support for ScreenPad into their apps. Additionally, it’ll save a lot of time for creators while using apps like Photoshop, for example. 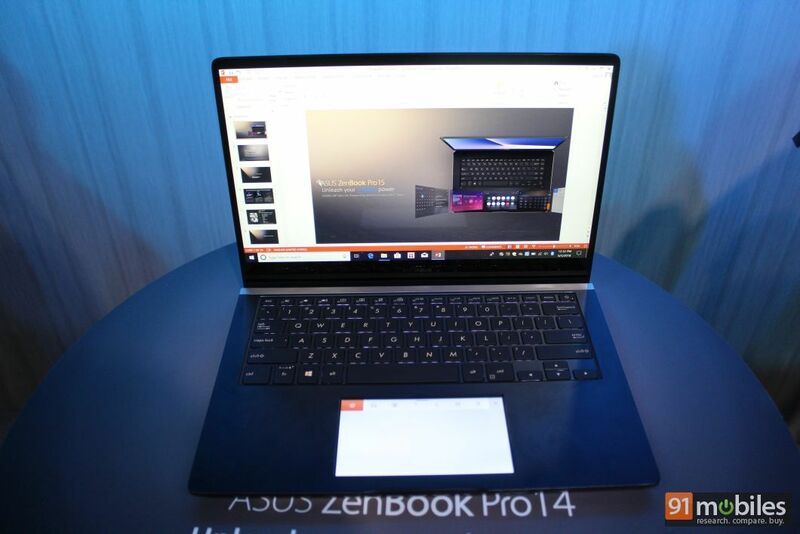 The keys on the keyboard offer tactile feedback, though I think this might take some time getting used to, based on my brief session with the ASUS ZenBook Pro 15. Design-wise, the laptop comes with two USB Type-A ports, two USB Type-C ports, a 3.5mm headphone socket, a microSD card slot and an HDMI port. 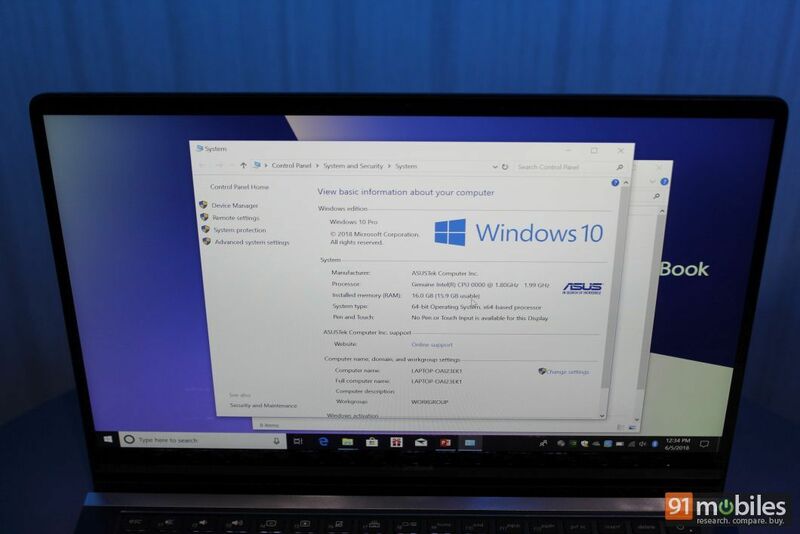 Under the hood, ASUS has gone for the best in the business – the highest-end configuration offers an 8th-gen Intel Core i9 processor, NVIDIA GeForce 1050Ti graphics, up to 16GB RAM and up to 1TB SSD. 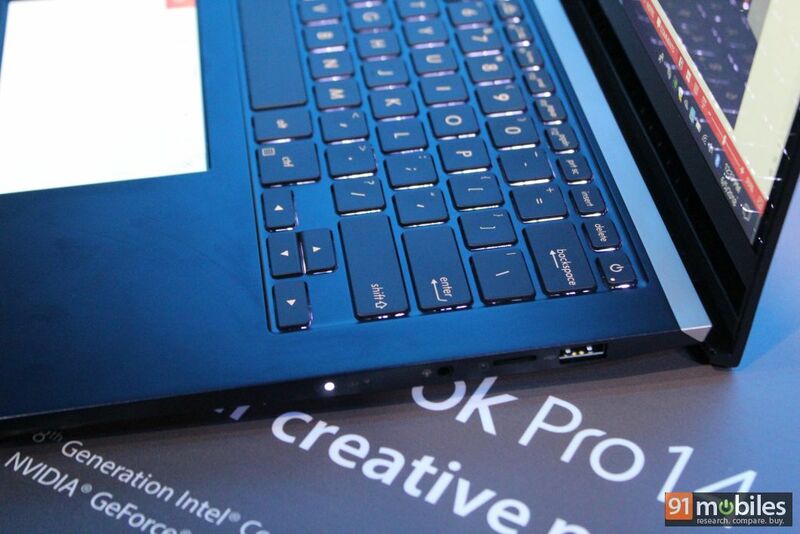 The combination means that the laptop literally flies through any task thrown at it. 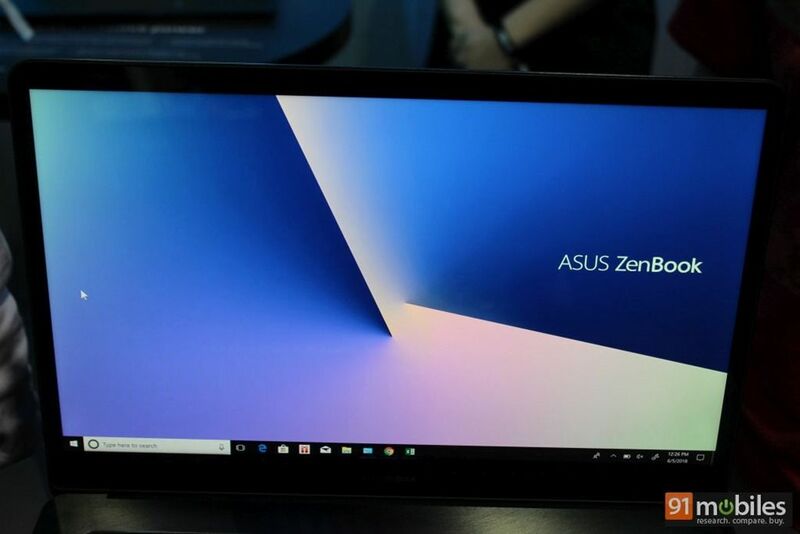 While we couldn’t test out any heavy apps during our time, we’re certain that the ZenBook Pro 15 will offer buttery-smooth performance. It’s also the world’s first laptop that can support up to three displays with 4K resolution thanks to three Thunderbolt ports… which means you can view high-res content simultaneously on four screens (including the one on the device itself). 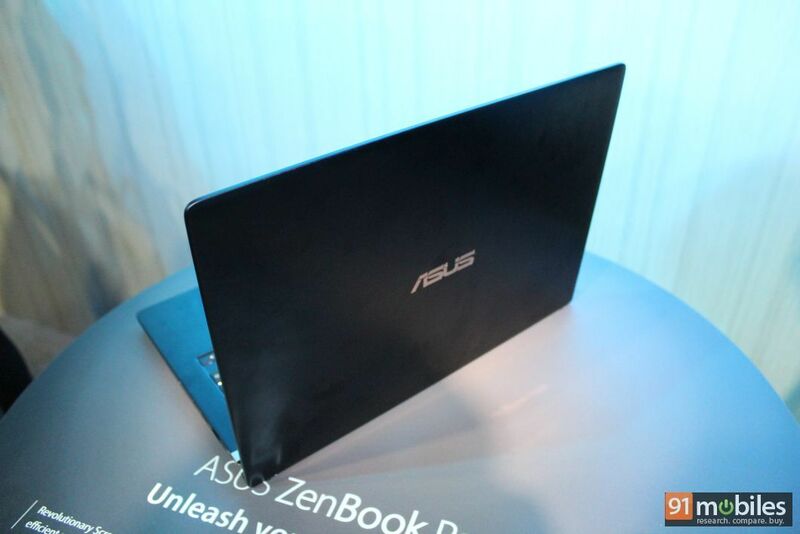 The ASUS ZenBook Pro 14 is also quite loaded, albeit comes with a smaller 14-inch FHD display. Inside, the gadget is powered by up to 8th-gen Intel Core i7 processors, NVIDIA GeForce GTX 1050 MAX-Q GPU, and up to 16GB RAM. It also comes with an IR camera for facial unlock feature and supports Amazon Alexa. 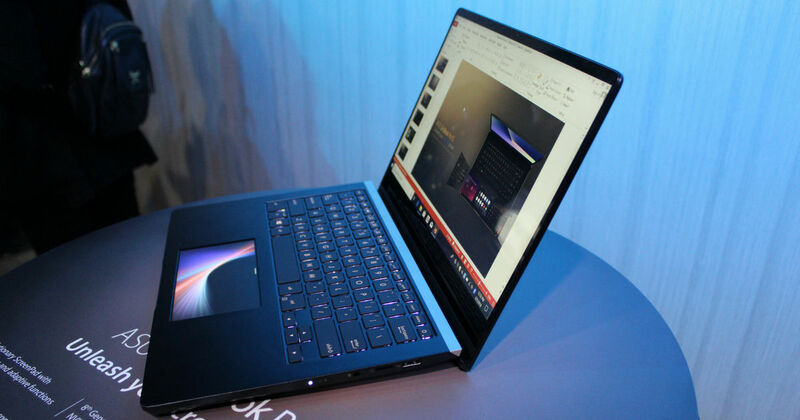 It’ll also come with ErgoLift hinge, which raises the keyboard from the surface level slightly making it easier to type on. 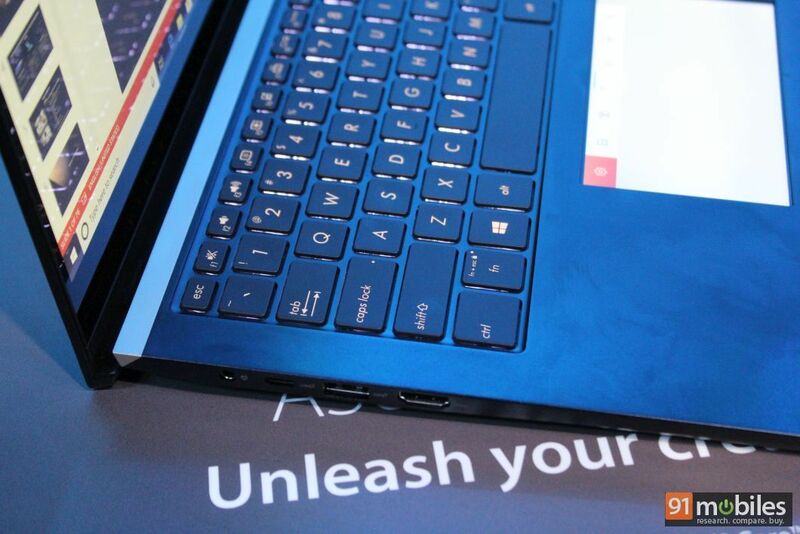 The Windows 10-based laptops will be available in classy gold and blue hues. 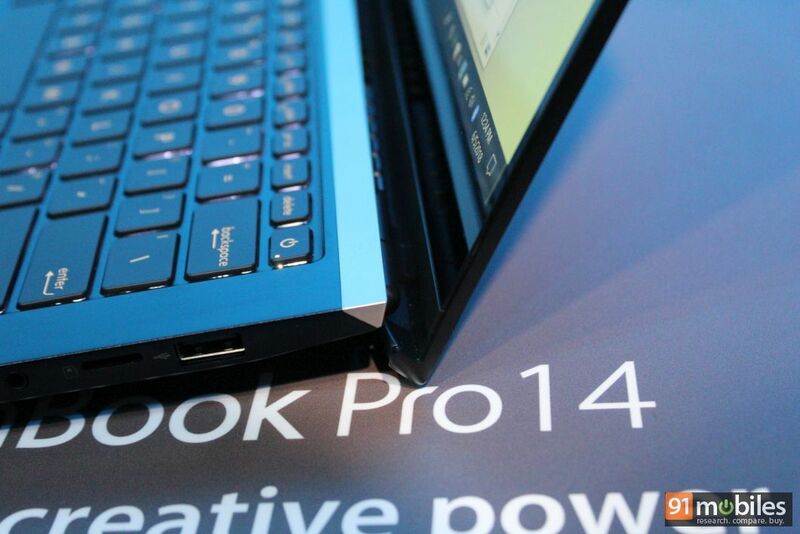 While the ASUS ZenBook Pro 15 will go on sale soon, its sibling, the ZenBook Pro 14 will be shipping later this year. Sadly however, the Taiwanese brand hasn’t revealed any pricing info of the laptops, and it also remains to be seen if they will be launched in the Indian market. While they might be pricey options, they’ll certainly appease high-end users who currently opt for Apple’s Macbooks.